They’re holiday cookies in one way or another, there isn’t a chocolate chip cookie in the bunch. In other words, Christmas cookies are not an ordinary cookie. They’re made in a variety of colors and ingredients, they must hold their shape well, keep well, and most importantly, they must taste good. Beat shortening at medium speed with an electric mixer until soft and creamy; gradually add brown sugar, and beat well. Add egg and molasses, mixing well. Combine flour and next 5 ingredients; add flour mixture to shortening mixture, mixing well. 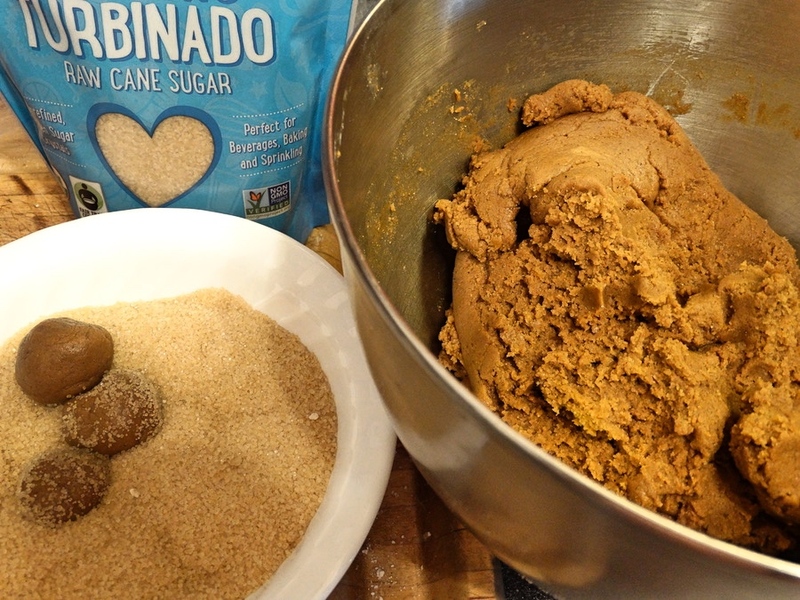 Shape dough into 1-inch balls, and roll in sugar. Place 2” apart on lightly greased cookie sheets. Woohoo! Christmas cookie season is here! Those crinkle cookies are absolutely divine! I must bake a batch soon because holiday means sweet treats, esp. cookies! What energy you have! I'm not really baking at all this year. Really like the hit of ginger and cloves in these cookies. They must taste wonderful! Terrific recipe -- thanks. Thanks, John! Ginger is great in cookies! It seems you are as popular as your cookies, with lots of family, friends and neighbors. Your homemade cookies look perfect! Holidays are the best time for baking and experiencing with recipes. In the jewish tradition , every major holiday has its specific cookie. Now,during Hannukah we eat doughnuts, during Purim we have earshaped cookies (Haman's ears) with various fillings, during Shavuot feast we eat a variety of pastries filled with cheese and raisins, at New Year - honey cake and honey cookies. Hi Duta! That's interesting with your tradition, I had a great friend who followed that also. Thanks and have a great week! Thanks, Tanza! They're good, not overly sweet. Pam, I'm a seasonal cookie maker and eater myself but 51 dozen. That's a big bunch of yumminess. 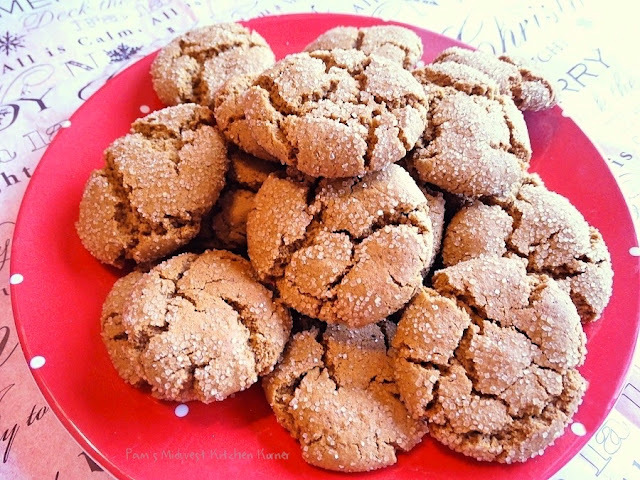 If a cookie has ginger and molasses in it, I'm all in. This one is going to get made soon. Thanks for sharing. Hi Ron! This is about the only time of year I make cookies, so I go at it full blast. I like this cookie because of the molasses flavor, nice and spicy. Thanks and take care. Thanks, Izaa! They taste good too. 51 dozen cookies, that’s amazing. We are baking similar cookies tomorrow in our State Park Victorian kitchen for the yearly Christmas celebration. Hi Gerlinde! That's a lot of cookies, and I've just finished making about that many this year. That sounds great with your baking at the state park. Bet it was fun! Thanks, Karen! Glad you found a way to leave a comment! I'll answer to about anything. ☺ Have a good week! Holy Cow that's a lot of cookies!!! Will it hurt to let these chill overnight? Hi Marge! Yes, you can chill the dough overnight. Just set it out about 30 minutes before baking so dough is easy to handle. Thanks!